• Providing sandwich damp-proof membranes for floors. 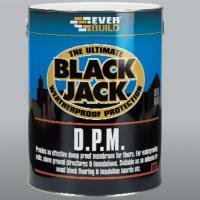 • General Waterproofing: - for use on concrete, fibre/cement, render, plaster etc. • For waterproofing structures such as bridge abutments, retaining walls and culverts. • For fixing insulation boards, expanded polystyrene and cork slabs. • As a curing agent for concrete.